GameFly's Year End Sale has a good selection of pre-owned PS4, Xbox One, and Nintendo Switch games to choose from. Solid deals like Gran Turismo Sporton PS4, State of Decay 2 on Xbox one, and DOOM on the Nintendo Switch. This week GameFly is running their popular used games blowout sale. You'll find tons of titles at their lowest ever price (new or used) and quite a number of titles released just this year in 2018 as well. Top pick includes $15 Dark Souls Remastered for the PS4; Monster Hunter: World or Kingdom Come Deliverance at $18 a piece for either the PS4 or Xbox One. While the sale is pretty expansive, we've kept the list to only items with free shipping (if you pay for shipping most of the discount will be negated). GameFly's December Used Games Blowout sale is now live. Dozens of pre-owned titles on sale for the Xbox 360, PS3, and Wii U are on sale. Tons of pre-owned Xbox 360, PS3, and Wii games under $15 with free shipping in GameFly's November Blowout used games sale. Defiance is $7, Max Payne 3 is $8, Crysis 3 is $9, Tomb Raider is $10, and so on. Sale runs through November 18th, but the best offers will sell out fast. Everyone loves picking through the bargain bins. GameFly fired up their October Blowout used games sale just yesterday. In hours some titles sold out (like Ni no Kuni and Tomb Raider), but there's still plenty of good ones to be had. Free shipping no matter the cost. I've been in this pickel before: there's $60 extra cash lying around, do you spend it on one brand new video game - or grab a several used titles in the hopes one catches your fancy. Generally I'd trend towards the latter. Well, for anyone else out there like that, GameFly's launched their "August Blowout" Used Games sale with discounts and free shipping on dozens (maybe hundreds) of popular titles for the Xbox 360, PS3, and Wii U. Two top picks include $10 Hitman for the 360 and $10 Resident Evil 6 for the 360 & PS3. This week GameFly has several hit used games on the PS3 and Xbox 360 consoles discounted to their lowest prices ever. Dishonored is on sale for $12.99 ($30 new), Resident Evil 6 $12.99 ($20 in new condition), and Aliens: Colonial Marines $9.99 (new condition $30+). Bigger list on our deal page. GameFly is running their Black Friday and Cyber Monday used game sale with over hundred titles on tap. Pick up Shadow of the Colossus for $15, or other goodies starting at $10. Shipping is free. Like all Gamefly deals, the game box are likely near-new condition with slight wear on the discs. A great alternative to the Best Buy and GameStop "Buy 2, Get 1 Free" Pre-owned games sales is GameFly's Black Friday / Cyber Monday sale. Games they've used as rentals are dirt cheap in comparison. It's a fairly large console game sale for PS4, Xbox One, PS3, and Xbox 360 bargain hunters. Some of the best deals include Dark Souls II Scholar on the Xbox One for $15, Metro Redux on the PS4 for $13, and Wolfenstein: The Old Blood on the Xbox One fro $13. A wave of new lows on used Xbox One and PS4 games at GameFly. Cheapest ever Dishonored 2, Titanfall 2, Halo Wars 2, Quantum Break, Doom, Rise of the Tomb Raider, and many more. GameFly has a new Used Game Blowout Sale this week new lows on Battleborn, Far Cry: Primal, Republique, Star Wars Battlefront, Street Fighter V and more for the Xbox One and PS4 consoles. AAA titles under $20. Gamefly is running another giant used games sale with over 120 titles on tap. Pick up The Division for $15, or other goodies starting at $10. Shipping is free. Like all Gamefly deals, the game box are likely near-new condition with slight wear on the discs. Today GameFly fired up their Used Game Blowout. New lows on Fallout 4, Rainbow Six Siege, Phantom Pain, Republique, Battleborn, The Division and more. Walking Dead First Season $15, State of Decay $15, NHL 15 $10, and plenty more this week in GameFly's Used Game Blowout sale. Dozens of pre-owned video games with heavy discounts, most under $20. GameFly has rebooted their Used Game Blowout Sale. Tons of games for the Xbox One, PS4, PS3, and Xbox 360 on the cheap. Looking to give Gamefly a try? The best way to do this is to use their 30-day free trial no coupon needed deal above. The worst thing about being a console gamer is spending what little money you have and you end up buying a completely terrible game - this is even after reading all the reviews available out there! Gamefly's monthly service where you can rent unlimited amount of games is your best defense against bad games (or simply games you don't find as enjoyable as everyone else does). Sign-up is straight forward and delivery of the games are of course free shipping both ways. There are over 8,000 titles to choose from in Gamefly's library of games. The free trial ends on the 30th day so if you don't find the service useful, you can easily cancel within your account profile. Two months of GameFly down to $10 this cyber week (normaly $16 a month). Also as a bonus they're throwing in a month of Hulu Plus. This beats out the regular $15.95 per month plan for 1 game out at a time (saves you $21.90), or the $22.95 per month for 2 games out at a time regular price (saves you $25.90). If you plan to play more than one game during the cheaper Gamefly promotion period, we'll go with option #2 which ends up "saving" you more money too. UK resident? Use UKOCT15OFF to get the same discount. Gamefly's Coupon of the Month for October 2014 is currently at a decent 15% off. It works on most digital titles, except certain major releases where prices may be more restricted. 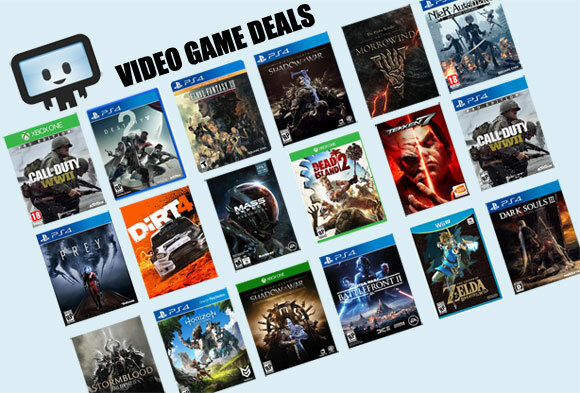 Each week, GameFly has various types of sales with different themes from their PC download catalog and the Gamefly Coupon of the Month can often be stacked with other coupons or be applicable for the sale's bigger-than-usual instant savings. P.S. You'll need to login and head to the checkout page to use and see the discount from the coupon. Look for the section "Apply Gamefly Coupon" just below the billing address. If you were wondering where you enter the code for some Gamefly discounts, now you know.